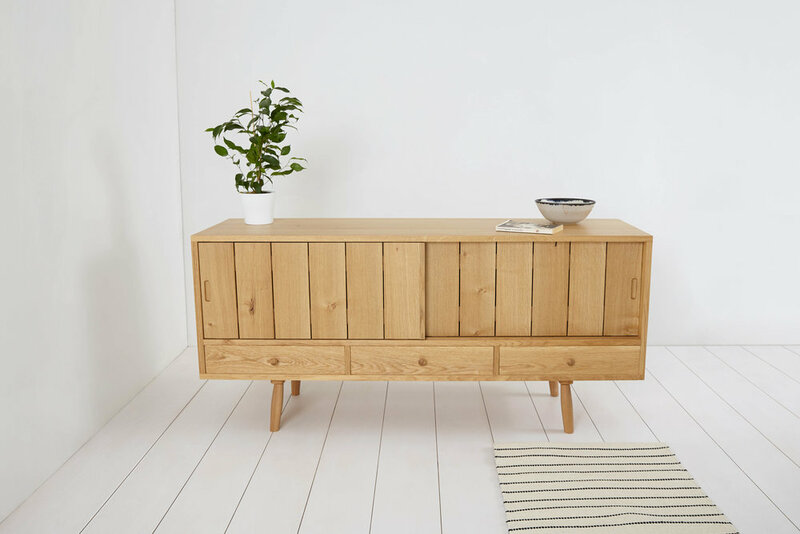 Inspired by Danish Mid century design and traditional woodworking techniques. The sliding slatted sliding door brings a lightness to the piece and is secured by an attractive housed dovetail joint. 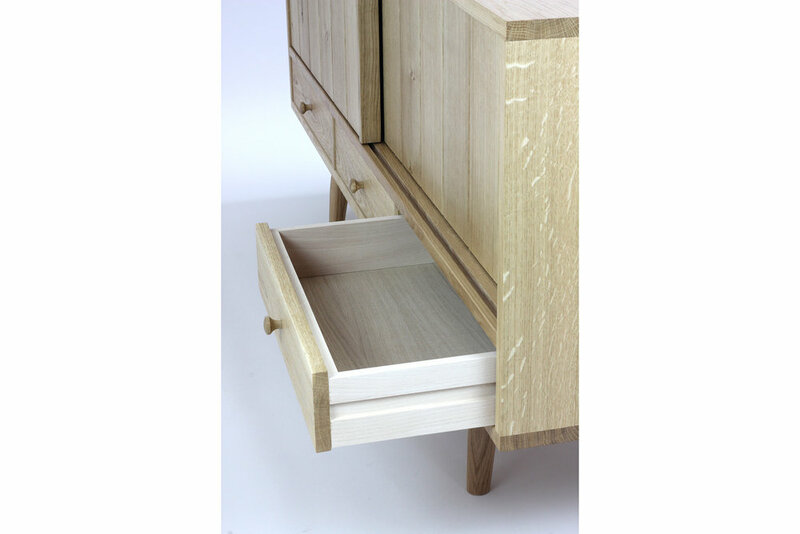 Features 3 drawers with continous grain and hand turned drawer pulls. 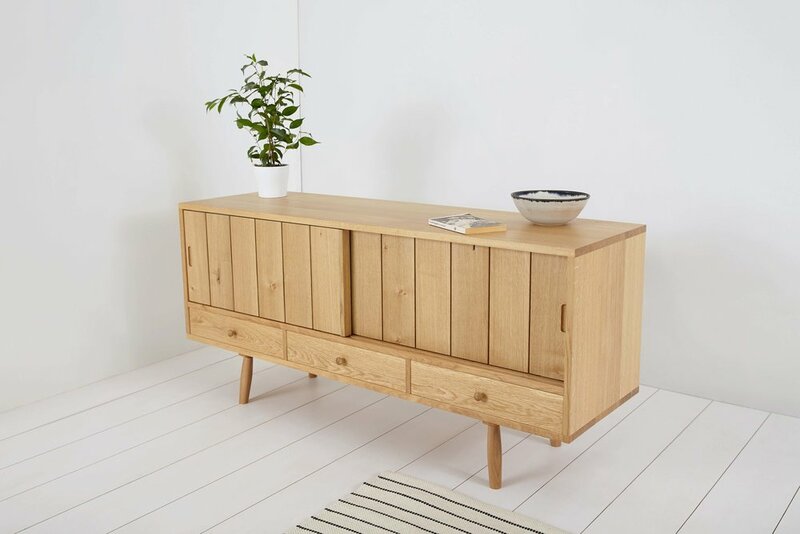 The Walter sideboard is made to order and can be completely customised to your tastes and requirements. Available in Oak,Ash and Walnut.